Who isn’t familiar with the nostalgic scent and tingle of menthol from swiping a toner-soaked cotton pad across their skin’s surface? It’s best to say goodbye however to the harsh, stripping alcohol-infused toners of the past and welcome ones that provide treatment without the tingle that’s a telltale sign of irritation. Look for toners loaded with nutrient-rich ingredients that help support the health of skin through hydration and healing. 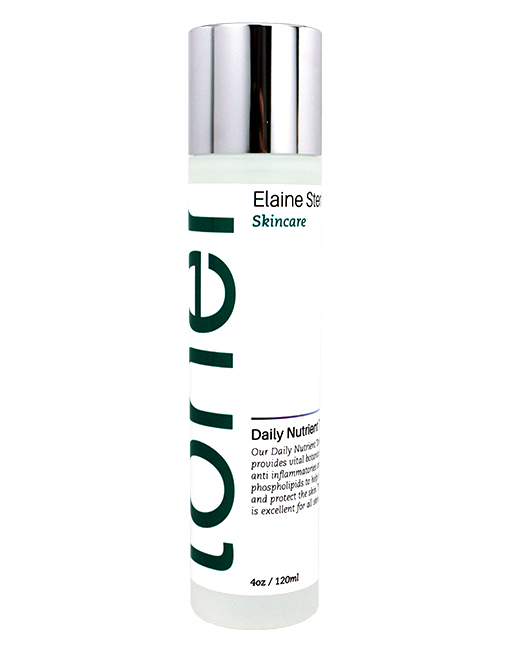 The Daily Nutrient Toner supplies skin with nourishing antioxidants and healing plant extracts such as aloe and green tea. Apply toner directly after cleansing your face on slightly damp skin to help seal in hydration and prep your skin for soaking up moisturizer. This toner is perfect for all skin types. Our Clarifying Toner is excellent for addressing problematic, acne-prone skin. Ingredients such as salicylic and lactic acid help break down surface oils and debris that contribute to clogged pores. Betaglucan is a powerful anti-inflammatory that penetrates deeply to moisturize and calm skin while promoting healing. Our Daily Nutrient Toner infuses skin with vital botanicals including aloe, almond extract and chamomile that help repair and protect the skin’s moisture barrier. A toner is an essential addition to your skincare routine as it enhances the overall effectiveness of your regimen. Modern toners provide your skin with beautiful benefits, balancing your skin’s pH and prepping the skin to help products absorb better. Apply your toner after cleansing your face. You can use your fingers to gently pat the product into your skin or use a cotton pad to wipe the toner across your face.